On Sept. 17, a monument to choreographer George Balanchine was unveiled at the Boris Eifman Dance Academy in St. Petersburg. At the ceremony, Eifman said that the monument to an outstanding choreographer would give a powerful start to setting up a fund for a future ballet museum, which will be located in the recently renovated Dobbert mansion. Boris Eifman spoke to RBTH about the state of world ballet today as well as his plans for a museum about the contribution his hometown has made to the art form. RBTH: What is your vision for a museum of ballet history? 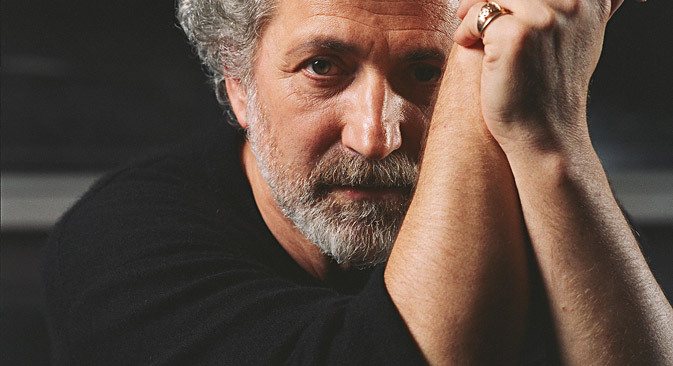 Boris Eifman: I would like to build a collection that will tell the history of the three centuries of St. Petersburg ballet. It is not about charting the whole history of dance in Russia. Our focus will be on how this city has turned into one of the world’s ballet capitals. From Nov. 7-29, the troupe will perform “Anna Karenina” in China. This tour will be followed by performances of “Anna Karenina” and “Onegin” in Italy in December. St. Petersburg occupies a unique place in the history of world ballet. Ballet emerged and developed here, mainly thanks to European (primarily, French) figures. Jean-Baptiste Landé, Charles-Louis Didelot and Marius Petipa all came from France. As you know, most of the ballet terms that dancers and choreographers all over the world use still are French. It would be pointless to try and ignore the influence that European culture has had on Russian ballet. At the same time, some of the best-known classical productions that make up the treasure trove of global ballet, such as “The Sleeping Beauty,” “The Nutcracker,” “La Bayadere” and many others, were created in St. Petersburg. The collection will be housed in the newly renovated Dobbert mansion, a 19th century masterpiece of wooden architecture, which is located not far from our dance academy. We want it to become a major center that would promote ballet and attract more and more people to it. RBTH: What exhibits from which archives and collections are you planning to use? B.E. : We shall cooperate with museums in Russia and abroad and carry out serious research in archives. In addition, we are planning to keep in touch with the descendants of famous dancers and choreographers. We hope that many of them will respond to our appeal to donate objects that once belonged to their outstanding ancestors. My colleagues and I will have to get immersed in a new area for us, running a museum. But I have never been afraid of trying new things. For example, previously, I hardly knew anything about filmmaking, whereas now our theater is busy releasing DVD recordings of our productions. Just in recent years, we have made four ballet films. RBTH: At what stage do you think the history of Russian ballet is currently? To what extent has Russian ballet become integrated into global context and to what extent has it retained its uniqueness? B.E. : Now is a turning point in the history of not only Russian but world ballet in general. It is at a crossroads. On the one hand, choreographers and dancers have realized that endless infatuation with abstract ballet is a dead end. On the other, their attempts to overcome stagnation and once again start staging large-scale productions returning to the fundamental laws of ballet more often than not end in failure. That happens because after decades of the dominance of modern dance, choreographers have simply forgot how to work in bigger formats. As regards the uniqueness of Russian ballet, it is seriously undermined by the desire to copy Western choreography, which some choreographers still have. Clearly, it is a consequence of a certain isolation complex they developed back in the Soviet era. It is high time to realize that the crisis that exists in ballet today is of a global nature. It is largely driven by the shortage of creative leaders and new ideas. RBTH: Where have you recently performed? B.E. : In the past 18 months, we have visited New York, Washington, London, Paris and other cities. Everywhere our performances were sold out. In some locations, the organizers even asked the venues to arrange an additional performance. I think the secret to our popularity is the incredible emotional charge that is present in our productions. We allow the audience to experience a catharsis, a purifying spiritual experience that only true art can provoke.